Healthcare planners have acknowledged that Amble will need more doctors, due to all the new housing projects currently in development. But Amble GPs say they are already under considerable pressure. At the same time, two doctors are leaving the Amble and Broomhill practice, with a new GP soon to take up her post. Dr Gareth Watkins is retiring early, and Dr Zheen Ramzi is moving away for family reasons and reduced shifts that will give him more time with his young family. But Amble welcomes a new GP, Dr Kathy McConnachie, who will be taking up her post very soon. A 200-page Infrastructure Delivery Plan compiled by Northumberland County Council, cites Amble/ Broomhill as one of six areas in the county which ‘will require increased capacity in primary-care infrastructure’, due to the amount of large-scale planning applications. However, funding allocated to local GP services from housing developments cannot be spent on staff salaries. It goes to the Northumberland Clinical Commissioning Group, who can spend it on capital projects such as building or extending GP surgeries. 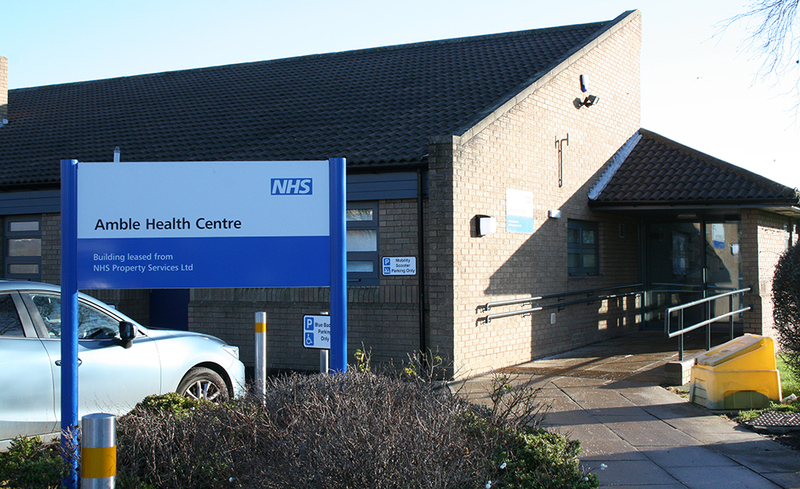 A spokesperson for NHS Northumberland Clinical Commissioning Group (CCG) told The Ambler: “The CCG is working closely with Northumberland County Council to ensure the primary care infrastructure matches the development of any new homes in the county. The CCG also highlighted a series of initiatives they are running, aimed at taking the workload off GPs. These include recruiting nurse practitioners who can prescribe, prescribing pharmacists, community paramedics, physiotherapists, mental-health workers and drug and alcohol support workers. The CCG is also working to attract young doctors to Northumberland, and they aim to increase the use of technology to help with efficiencies. Put bluntly, funding to recruit more GPs will only happen when more people register with a practice. In other words the new houses have to be built and lived in, before the GPs can ask for more money for additional staff. Coquet Medical Group serves Amble, Warkworth, Hadston and Broomhill, and has over 11,800 patients, and 7.25 full-time equivalent GPs. This works out at approximately 1,600 patients per GP. 4 thoughts on "Amble doctors ‘under considerable pressure’"
We need to get back to how it was where you could see the same DF every time then he really did know your case history I know they are shor of DRs and all these time wasters that do not turn up for apt should be charged !!! Any idea about the salary of GPs for the hours they put in.